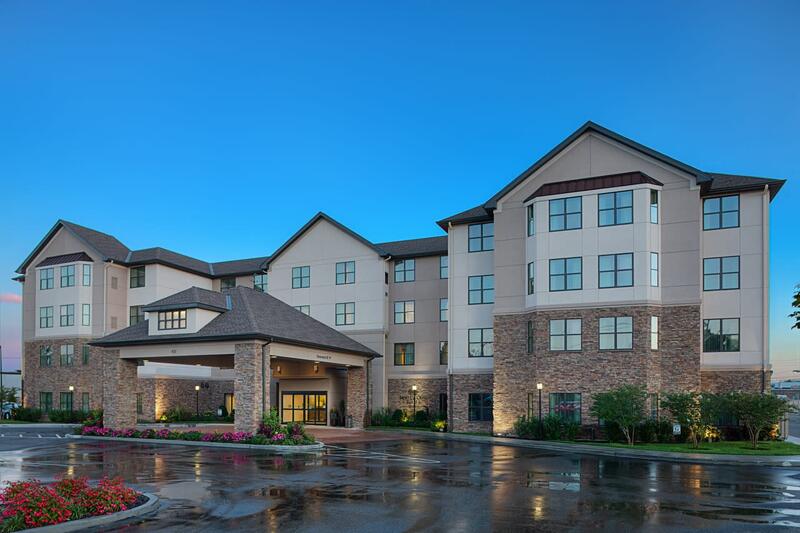 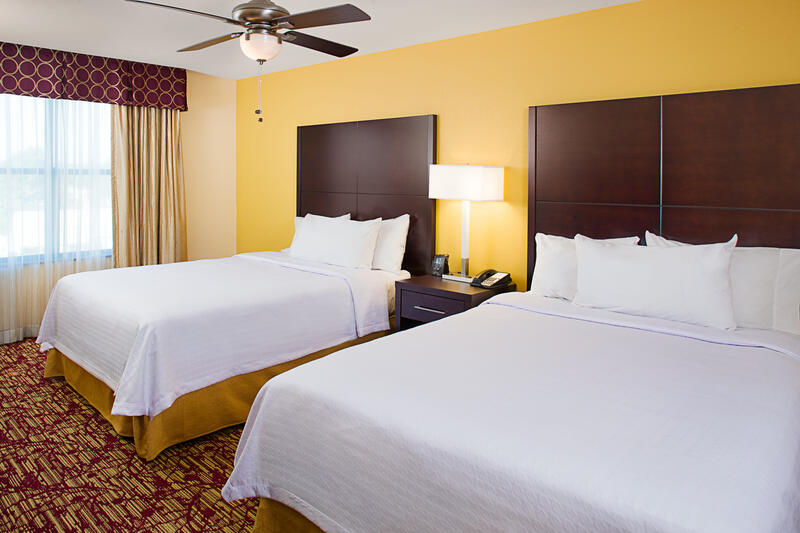 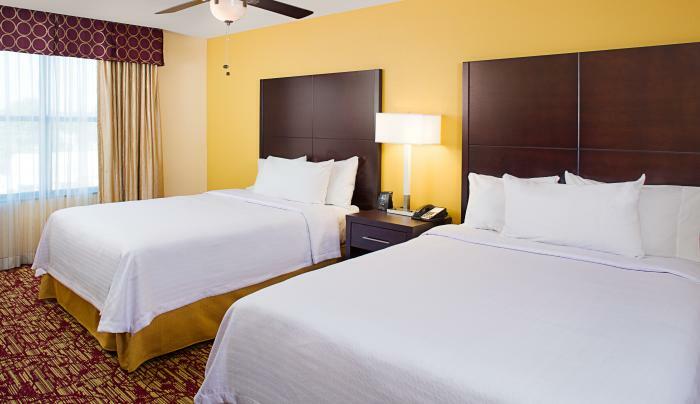 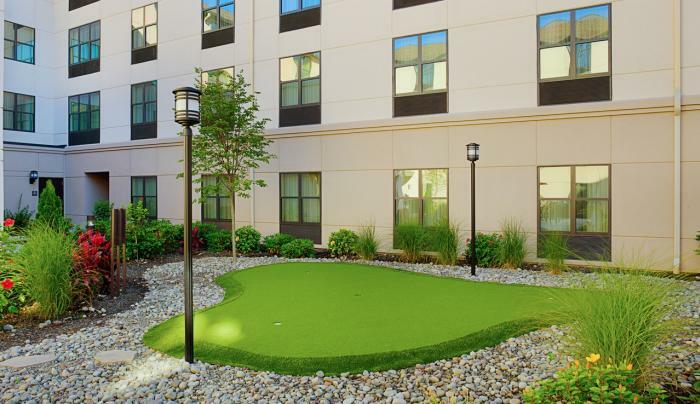 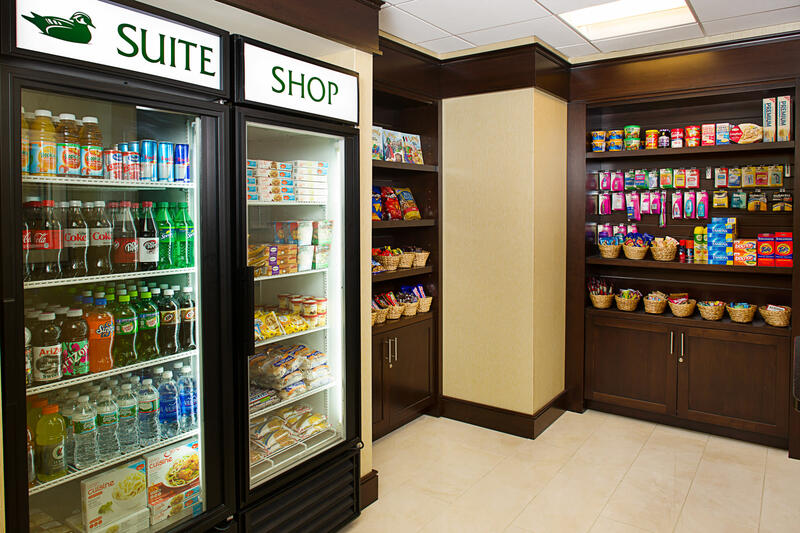 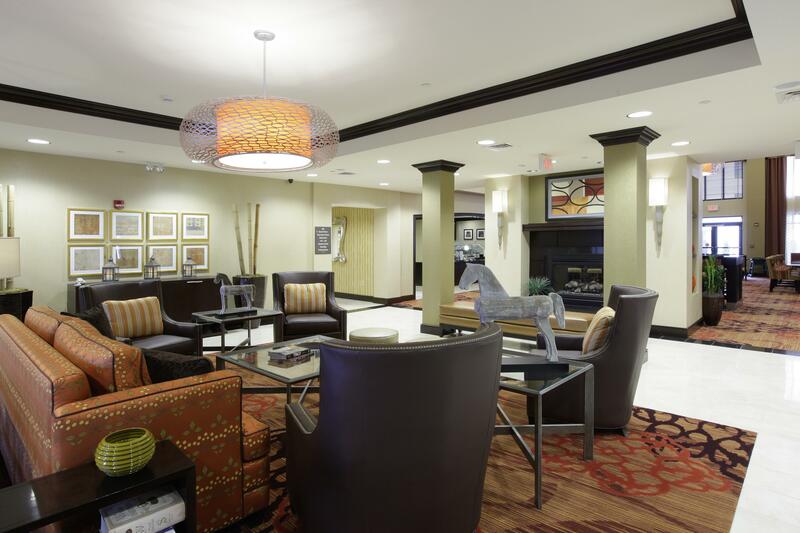 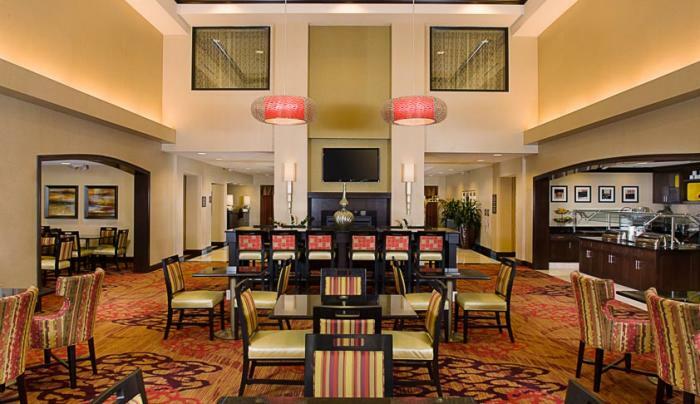 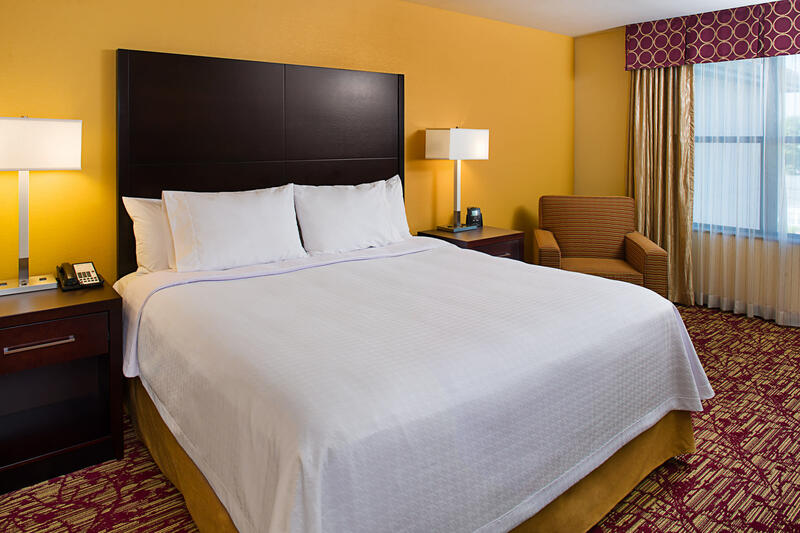 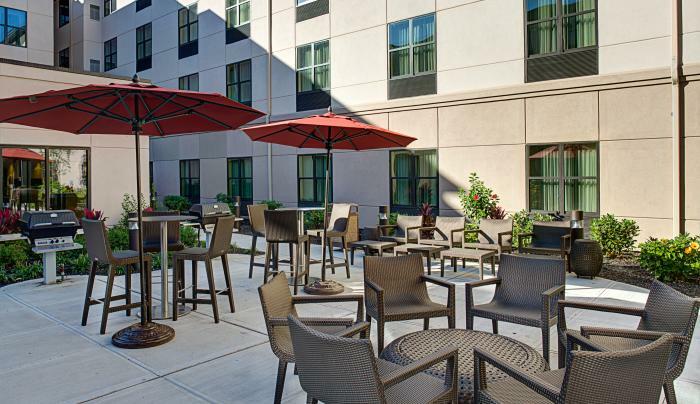 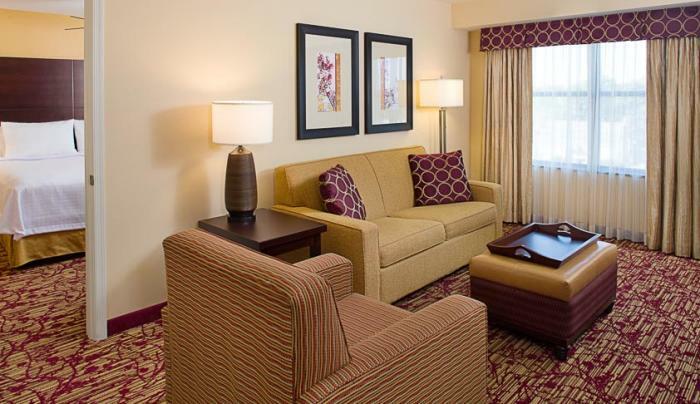 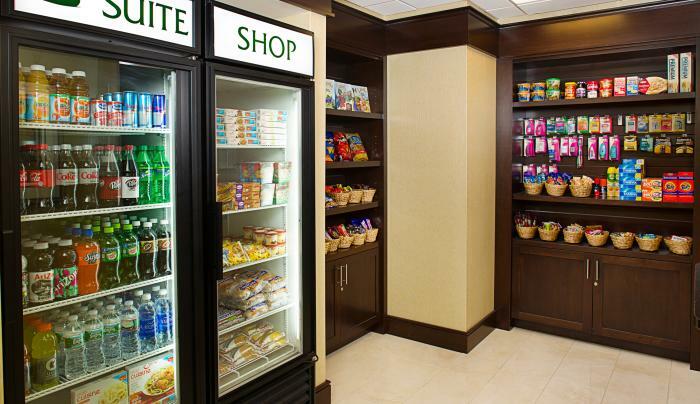 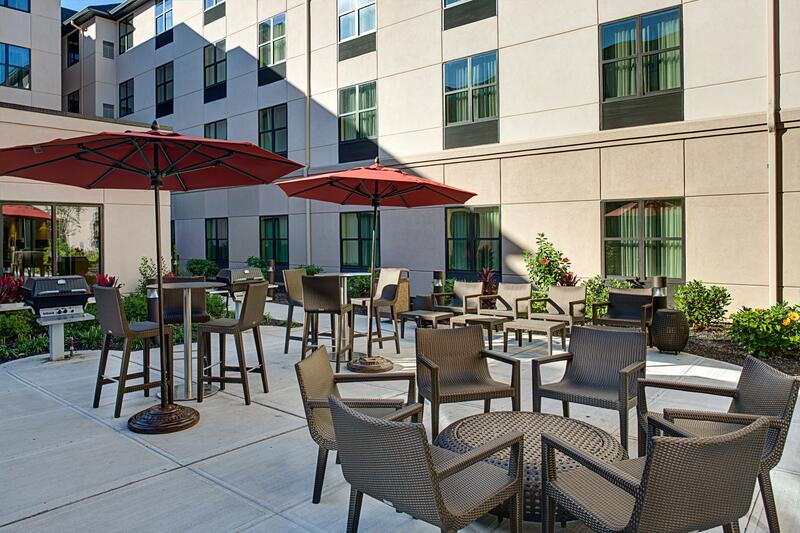 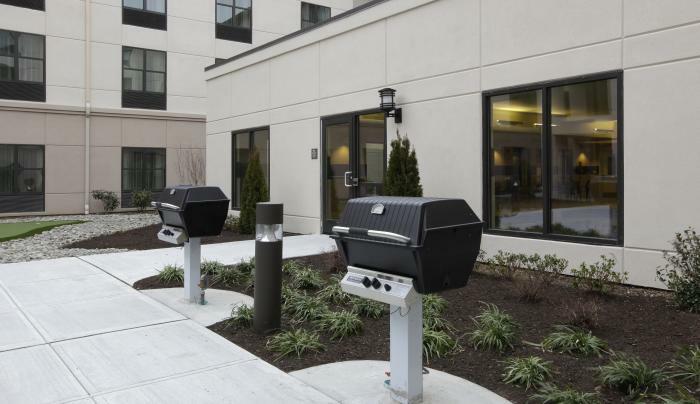 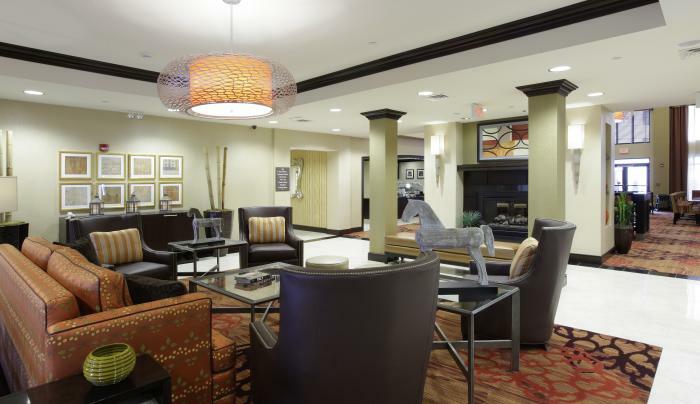 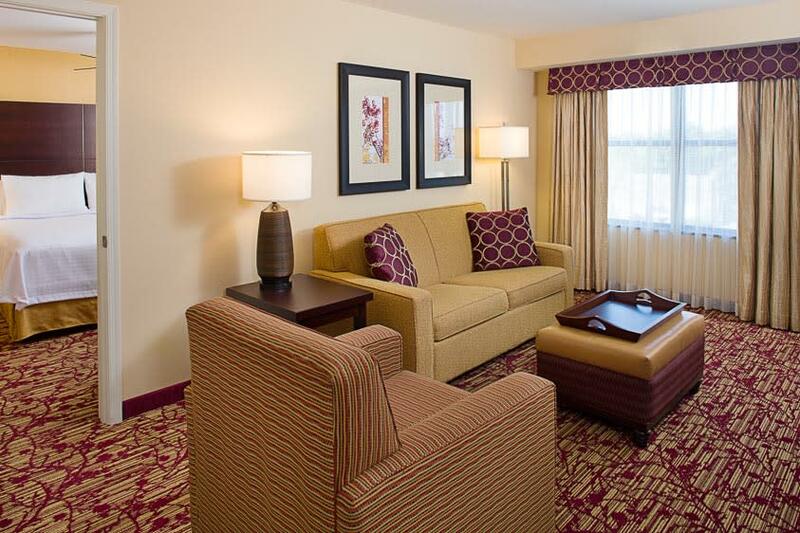 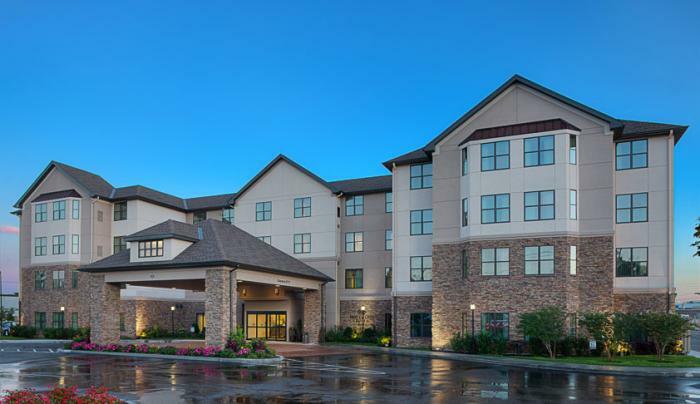 Welcome to Homewood Suites by Hilton® Carle Place – Garden City, NY, ideally located in Carle Place, NY, just 17 miles from JFK International Airport and 18 miles from La Guardia International Airport. 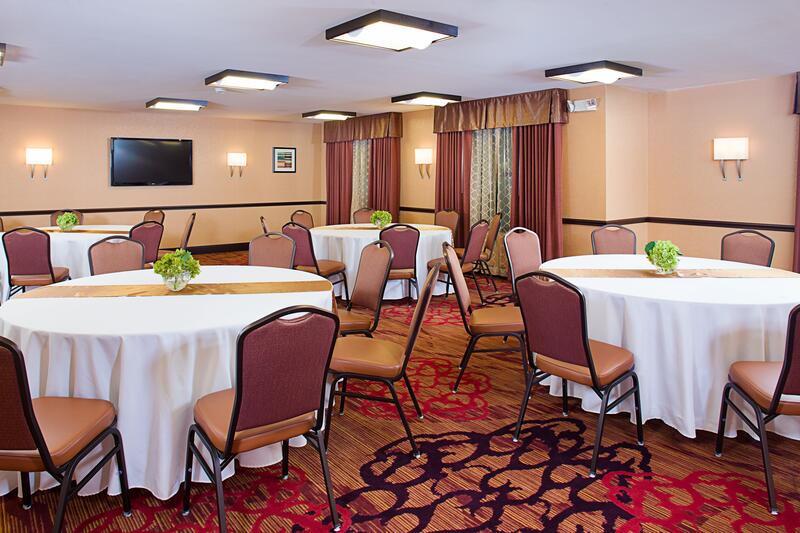 Enjoy easy access to Nassau County corporations and Universities.Have a fun day out at Belmont Racetrack, shop at Roosevelt Field Mall, visit nearby Westbury Manor or catch a show at the Nikon Theater at Jones Beach. 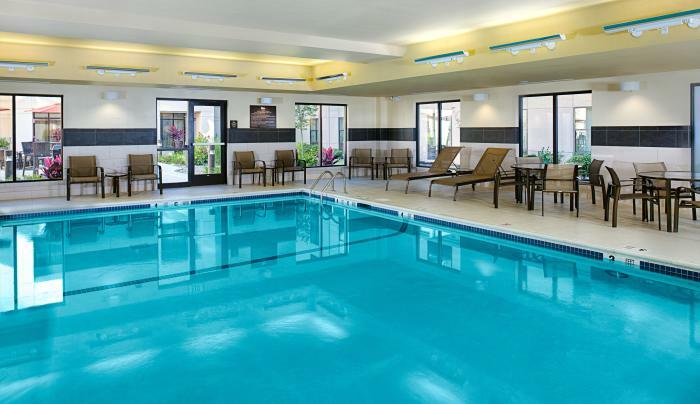 New York City is just a short drive or train ride from our Long Island hotel. 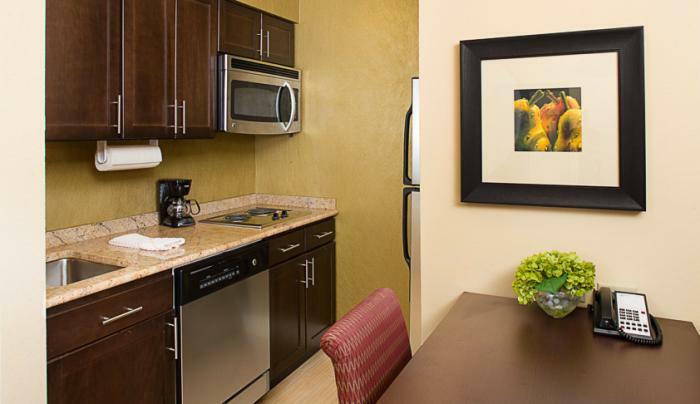 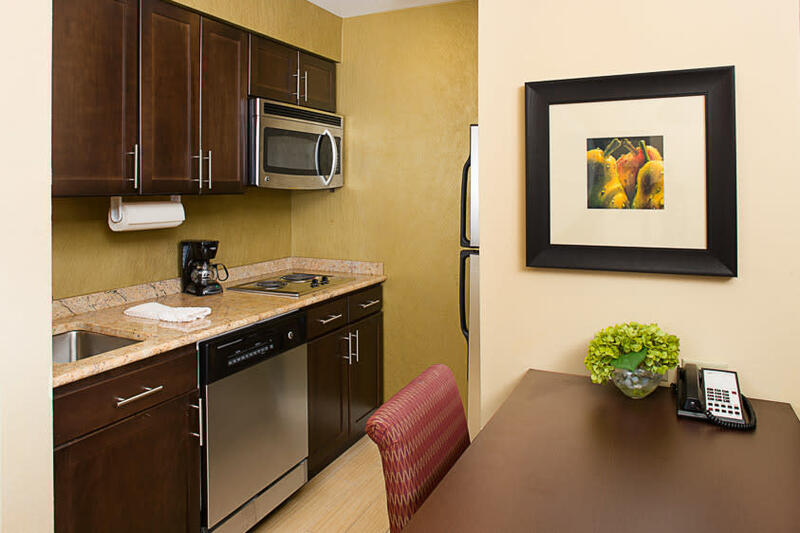 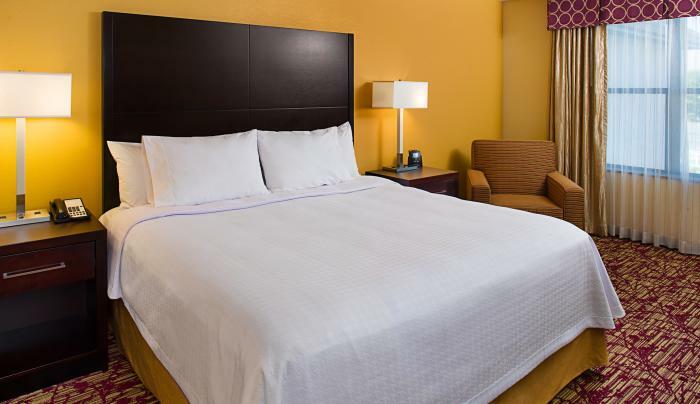 Settle into a comfortable studio, one or two-bedroom suite with home like amenities including a full-kitchen, 32-inch TV, and complimentary WiFi. 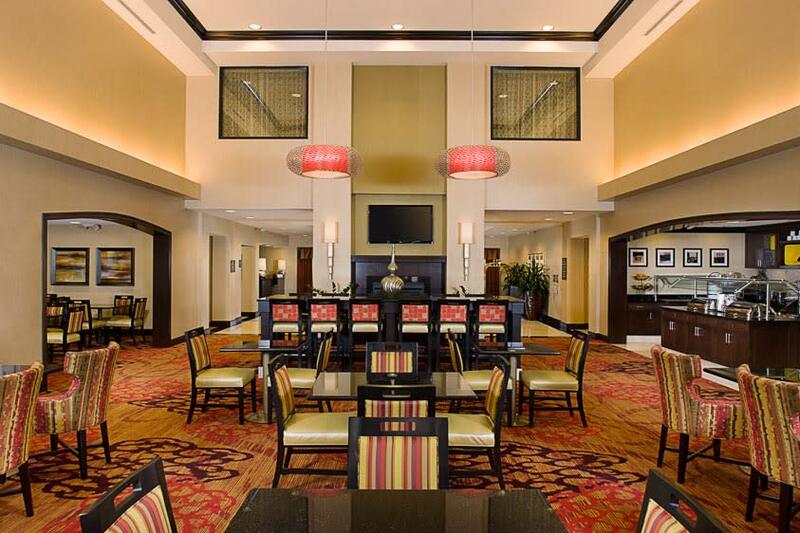 Join us each morning for a hot full breakfast and, Monday through Thursday, unwind over evening dinner and drinks*. 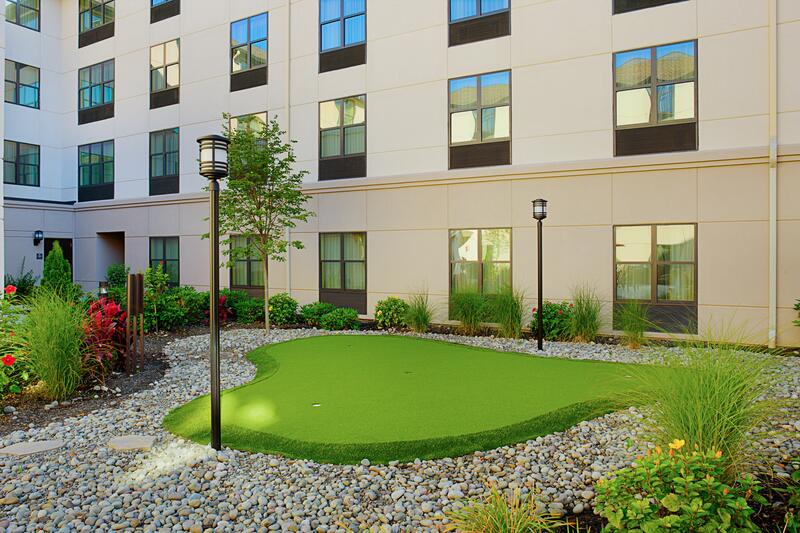 Re-energize in the fitness center, plunge into the indoor pool, or practice your putt on the outdoor green. 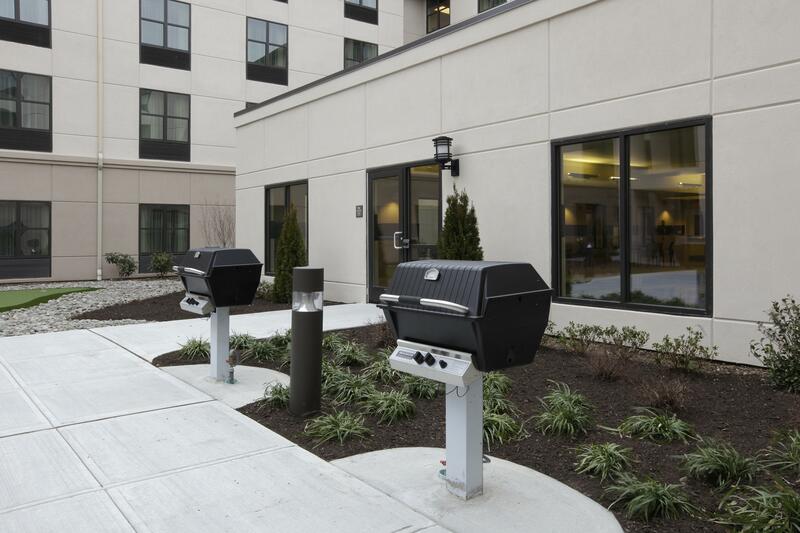 Gather with family at the outdoor grill or relax by the fireside. 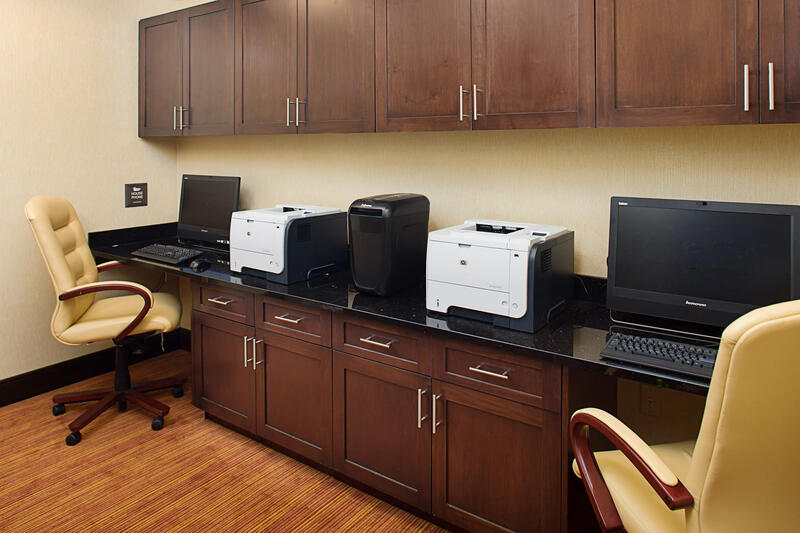 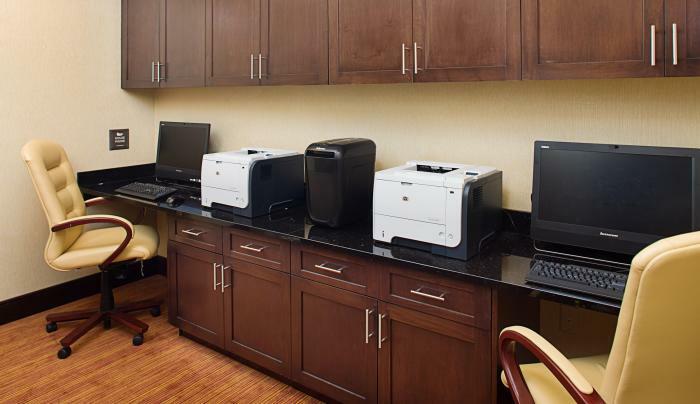 It’s easy to stay connected with our 24-hour business center, with an array of useful services and equipment. 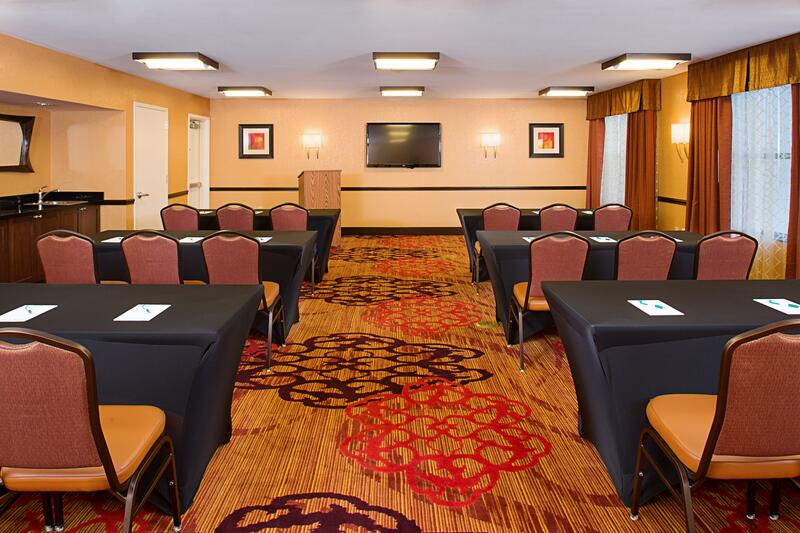 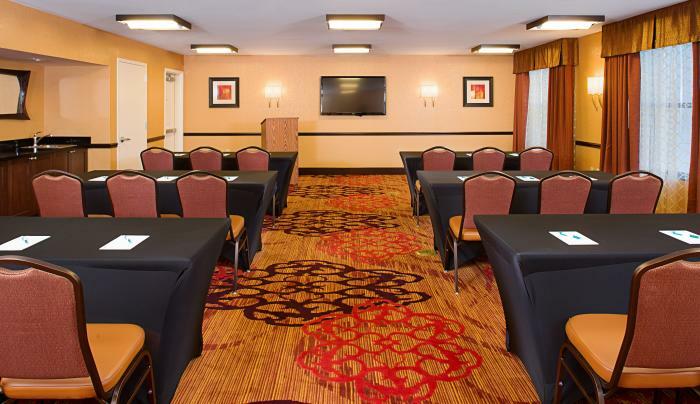 Host a meeting in our 4,500 sq.ft. 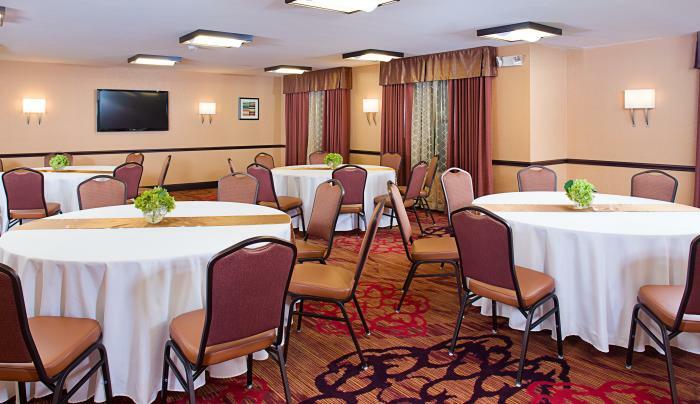 of meeting space – our friendly staff are on hand to help make your event a success.